Joana de Melo is a mixed-media artist, costume designer, trainer and facilitator specialized in environmental and participatory art, permaculture, DIY (do-it-yourself) and expressive arts therapy. She did her European Volunteer Service (EVS) in Kulturlabor Tial&Error e.v Berlin within the project "Green practicies in urban communities" where she offered environmental education courses and permaculture trainings to inhabitants of Berlin, with a specific support to people with fewer opportunities, mainly migrants and asylum seekers; she co-facilitated in Berlin the youth workers mobility project (seminar and training course) Concrete Jungle: Urban gardening as a tool for social inclusion of refugees and other youth with fewer opportunities. Maria Bezzera is an environmental scientist pursuing her PhD in coastal processes. Besides her scientific experience she has practical experience in permaculture systems for efficient management of water and food production. As a co-founder of NEW Loops she is organizing Permaculture courses and related activities as well as participating in and organizing projects. Furthermore, she is passionate about practising and teaching about natural cosmetics and herbal therapy. Maria Klein holds a PhD in Marine Ecology and Conservation and has participated during her academic training in several research projects. As being a lover of nature and aiming towards subsistence horticulture, she discovered herself as a natural Permaculturist and as a vigorous environmental protector. Maria is a co-founder of NEW Loops, where over the past two years she deepened her knowledge in the areas of Permaculture, Environmental Education, Urban Agriculture and Community Building, becoming therefore an active part of the local change. After realising the unsustainability of the luxureous Western lifestyle that we are all accustomed to Martijn decided to make some radical changes in his life. In his persuit of solutions he stumbled upon permaculture and more research into this gave him the courage to drop out of his architecture studies at the Technical University of Eindhoven and in 2013 he decided to move to Portugal to start a small permaculture project (Permaculture Playground) on his ancestral land that was sitting there idle after his grandparents had passed away a number of years before that. Soon it became appearent to him that the harsh climatic conditions required more than just some waterwise gardening and after a lot of research he discovered that improving the soils structure (better water retention in summer AND improved drainage in winter) was possible with the use of biochar and ever since he has been searching for the most efficient ways to make this biochar. He is currently developing and testing indoor biochar production systems that provide heating for small dwellings and serve as functional cook stoves as well. 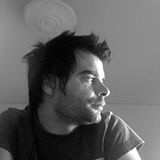 Bruno Silva is permaculture designer. He is active in the local radio station for 12 years, spreading the word on sustainable living. interests are wide ranging pursuing the development of many different competences. In any activity he tends to keep an eye on the most sustainable and environmental friendly solution, from the daily house life to workplace passing through gardening and type of transportation. One of his passions is solar cooking. At the moment being a NEW LOOPS member is a great chance to contribute through the direct work with the community, following ideas of the Transition and Permaculture movements, for a better world. lawyer, director, actor. At the moment studying and practicing physical and social theater. Marco Manaia is a primary school teacher of arts, music and dramatic arts, which he is teaching to kids of 5 to 11 years old. Inspired by two introductory courses in Permaculture he included nature art in his teaching. Also he designed and constructed together with … kids a school garden during a summer camp in 2014. The work included the cleaning up of the site, the garden design, making raised beds and a herb spiral, seeding and planting. Last September he participated in a Permaculture Design course with Lesley Martins, that included as well the social design of the Algarvian rural town Ameixial, that is threatened by emigration and demographic change.